Distressingly what has been taking up most of my brain capacity this week is Britney Spears’ divorce. It is a sad admission but the fallout is pretty much all I can think about – and every time I do it sends me into a frantic rage. The frustration starts with everyone’s immediate ‘I-told-you-so’ reaction and the fact that JJ is but 8 weeks old. Divorces don’t happen over night… they build up. Britney is pretty inoffensive. You can happily ignore her if she’s not your thing. But K-Fed (which is what he actually asks to be called – can you imagine) is literally laughing all the way to the bank. In hindsight he must have been laughing since he met her as no one who is blackmailing their wife with a Pam and Tommy-esque ‘home’ video for £16 million and sole custody of the children he has yet to show interest in, can have anything but personal gain in mind. And what a tiny mind it must be. I try to calm myself by thinking that in no sane world would anyone give him more than the two million dollars he is owed from the pre-nup and a good slapping but wait a minute… what was the key word there? Ah yes: ‘sane’. In a world that has just issued 17 rules by which cat owners must abide (my favourite being allowing your cat privacy when it uses its litter tray), I fear for Britney’s safety in the divorce courts. And with her penchant for saying the wrong thing, I have no doubt that she could easily talk a judge into giving her babies to the errant ex-husband. Britney’s recent drunken partying with Vapid Hilton and La La Lohan does not seem to be doing her any favours, and neither does her forgetfulness with regard to underwear. On the other hand, being a young, fabulously wealthy and famous soon-to-be-single mum can make you lose sight of decorum. My concern is that this seems to have given Fed-Ex all the impetus he needs to rush to his lawyers saying that she is clearly parentally unfit – a ‘lush’ who is obsessed with partying no less. Sounds familiar... Here’s hoping Britters can put on a happy face for the judge, and refrain from turning up with a hangover. It’s so important. So in celebra tion of Britney, her new found freedom and her up and coming court appearances, I’d like to dedicate today’s page to looking good the morning after the night before. I don't need to tell you to moisturise. 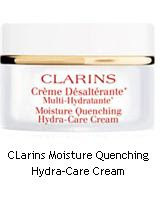 I use Clarins Moisture Quench moisturiser in the morning. Its thick and actually works for dry skin. However, I really recommend going to a beautician to test your skin type. In the evening I use Origins Make a Difference Cream. I rarely divert from these but am willing to be recommended alternatives. If you've had a big night and your skins suffered Origins Never a Dull Moment face scrub is to amazing for words. I always have a pot of this in my bathroom. Garniers nutritionist regenerating eye cream is brilliant. It livens your bags and helps the make up stay where it should rather than migrating downwards (with your hang over). I always put my foundation on last. I know that this isn't the way to go but I am a devoted user of Benefit's Lemon Aid - and you really don't need foundation on your eyelids after using this stuff. For the morning after, try Rimmel's Cool Matte 16hr foundation. I like Soft Beige. 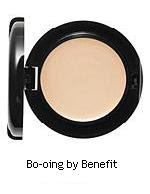 Under the eyes (best applied after you've done all your eye make up) Benefit's Bo-oing is a winner. Light eyeshadow is a must for tired eyes (lets face it they don't need any help looking smaller). I love No 7's eyeshadow in Opal. I wear it most days its light but looks great with a fine liquid eyeliner line with a pencil over the top. Then the Rimmel Cool Matte Foundation with a light brushing of Natural Collections Peach Melba. This is fabulous - two light brushings makes you look healthy without looking like you've been sitting next to a furnace. Bottom lashes (I love Maybelline Volume Waterproof Mascara). And to finish, a light double-dusting of blusher and you're ready to go. If you are a lipstick fan for this occasion i would recommend Lip Plump by Pout. It works wonders for your lips but doesn't look too Barbara Cartland.